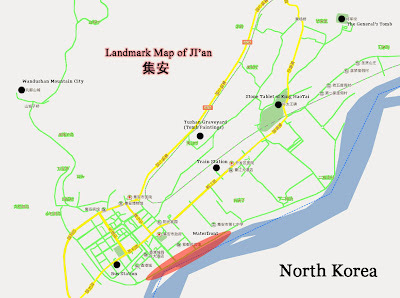 Ji’an is a small city in the South of Jilin Province, on the border of North Korea. Its surrounding mountains form part of the same chain as Changbaishan. The beautiful scenery, vicinity to North Korea and the added bonus of the ruins of an Ancient Korean kingdom around the town, mean that Ji’an is the best holiday destination in Jilin. Apart from taking a guided tour or driving yourself, you can either get to Ji’an by bus or by train. Buses are faster but more expensive and go to all nearby cities: Changchun, Tonghua, Jilin and Shenyang as well as smaller places. Click here for the Ji'an Bus station times(all in Chinese I'm afraid). By train, Ji’an is the last stop on the line and all the trains go through Tonghua. The trip to Tonghua takes about 3 hours and costs 7.5RMB (hard seats). 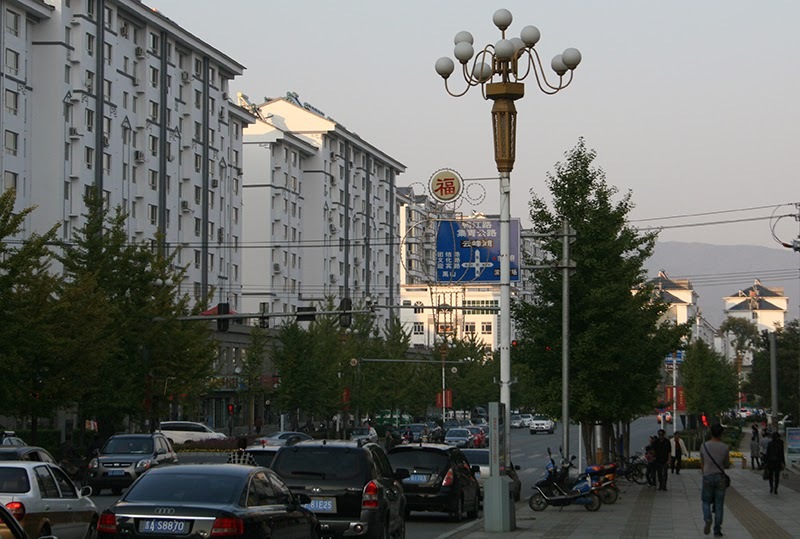 From Tonghua you can get connecting trains to bigger cities. Going by train is much slower, but significantly cheaper. 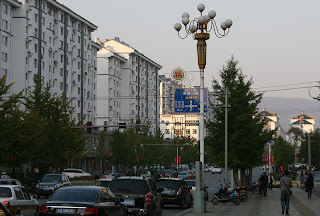 From Changchun there’s one bus a day and it leaves from the Express Bus Terminal (高速客运占). It leaves at 7.45 am and takes about 6 hours. The bus costs 108RMB. When you arrive in Ji’an you should book your return ticket immediately. I didn’t and had to get the train back! As there were no bus seats we took the train back. 3 hours to Tonghua and then 8 from Tonghua to Changchun. The total cost (Ji’an to Changchun) per person was about 40RMB for hard seats. The very low price kind of compensates for almost 12 hours travelling, but doesn’t really make up for a very uncomfortable and sleepless night on the train. During holidays there are no buses, so the only way to get to the local attractions is by taxi. Taxi drivers charge fixed prices and you should determine the price first. But expect to pay on average 10-15RMB to each site from the centre. They might also charge per person for the longer trips. During normal days there are local buses, but they are rare. Apparently you can get them from near the intercity bus station. A much more fun, healthy and interesting way to get around is to rent a bicycle at the river. I don’t know what the rates are, but you can rent them at the waterfront, and you can easily get to Wandushan Mountain City from there.